When your baby cough, it can be heard worrying. Moreover, if the cough in infants interfere forget. Generally, the cough in infants will subside on its own after two weeks, but that does not mean you can take it for granted. Parents need to know more about the types of cough and signs if there has been a progression of the disease or even complications. 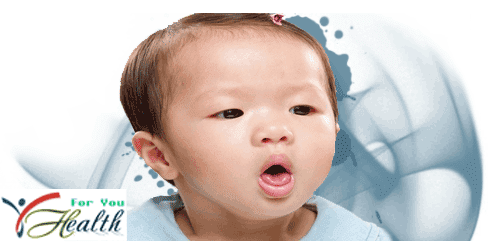 As adults, babies can experience a dry cough or cough with phlegm. Dry cough is an effort to eliminate the interference that occurs due to itching at the back of the throat. This occurs because of the swelling of the throat and respiratory tract. Dry cough is usually a symptom of a cold or flu outbreak. Babies have the possibility of experiencing colds up to eight times per year. But do not worry because over time the immune child will increase. Meanwhile, cough with phlegm is a natural attempt to remove phlegm from the lungs. Cough in infants could also be accompanied by other symptoms, such as fever, nasal congestion, sore throat, red eyes, no appetite, and irritability. Besides it can appear swollen lymph nodes in the bottom of the arm, neck, or on the back of the head. Give more breast milk (ASI) to help the body fight infection. Expand the time of rest and sleep. If the baby has a fever, give a special baby fever relief medication with the right dose after asking the doctor. As the handling of cough in children , infants can also take advantage of steam in the room to help relieve her windpipe. Make sure you keep the baby while inhaling the steam so as not to hurt. A mixture of lemon juice and honey can be given to infants over the age of one year to relieve symptoms of cough. Baby refuses the breast so dehydrated. Can be characterized by checking his diaper. In normal conditions, the infant should be urinating every six hours. Baby has a fever and lasts more than three days, especially under the age of three months. For infants above the age, be alert if the fever reached 38.9 degrees Celsius or more. Sputum looks yellow, green, or brown. In addition, there is also a dangerous condition cough and can easily spread, ie whooping cough. Infants up to the age of six months is very risky to face complications due to this type of cough. Whooping cough can cause the baby was not breathing and her skin looks blue. Complications of whooping cough in infants starting from uncontrollable shaking, breathing stops, disturbances in the brain, pneumonia, and death. To cope with whooping cough, the doctor will usually prescribe antibiotics immediately. Cough is regarded as the body attempts to expel mucus, or foreign bodies from the respiratory tract. Although often not a bad sign, parents must remain careful when coughing overwrite the baby. If there are other symptoms that may be harmful, immediately contact your doctor or nearest health facility to get medical help.